A Wireless Sensor Network (WSN) is composed of sensor equipped devices that aim at sensing and processing information from the surrounding environment. Energy consumption is the major concern of WSNs. At the same time, quality of service is to be considered especially when dealing with critical WSNs. In this paper, we present a game theory based approach to maximize quality of service, defined as the aggregate frame success rate, while optimizing power allocation. Game theory is designed to study interactions between players (e.g. chess players) who decide on a set of actions (e.g. the players moves) to reach the objective outcomes (e.g. to win the game). Here, we model the system as a potential game. 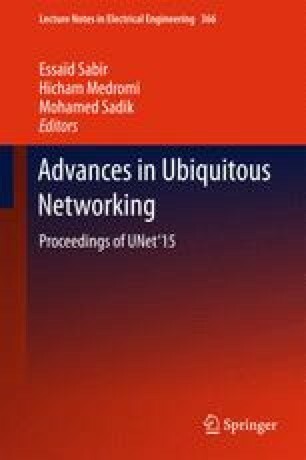 We show that the optimal power allocation, crucial in a heterogeneous sensor network, is a Nash equilibrium of this game, and we discuss its uniqueness. For simulations, we present a fully distributed algorithm that drives the whole system to the optimal power allocation.